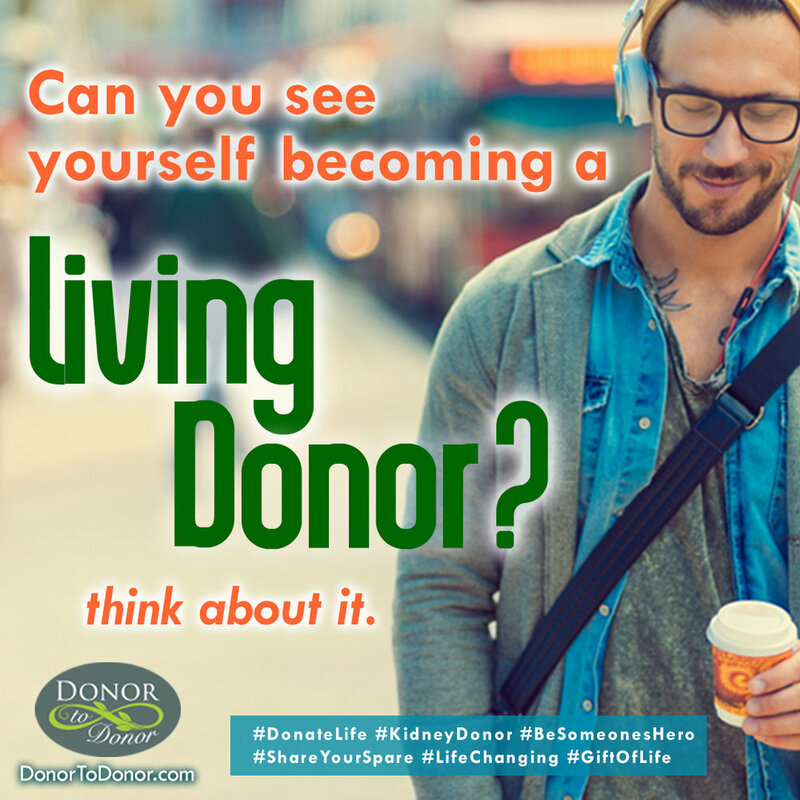 Donor to Donor pairs a patient in need of a kidney transplant with a person who has previously donated a kidney, and the donor becomes the patient’s advocate and champion in the search for a compatible donor for the patient. Most patients are reluctant to ask strangers for a kidney, and many of them have psychological scars from having compatible family members who decline to make the donation. The donor advocate has the credibility to talk with potential donors in a way that no one else can, including the medical community. People who have donated a kidney have a strong desire to stay involved and continue to help where they can. It is up to each donor advocate to champion his/her paired patient and find a donor. Would you like to find out more about Donor to Donor? Please fill out our info request and we will keep you updated with our matches and their progress. We will send our periodic emails to update folks on our progress as well as the progress of others we're helping. All emails are kept private and you can unsubscribe anytime. We will get back to you as soon as we can. We appreciate every connection we make!